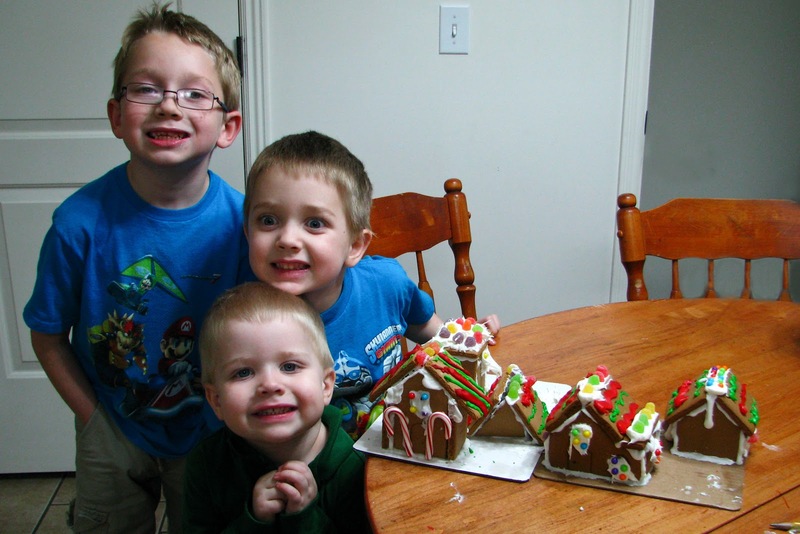 We have been having fun with Christmas activities the past week. 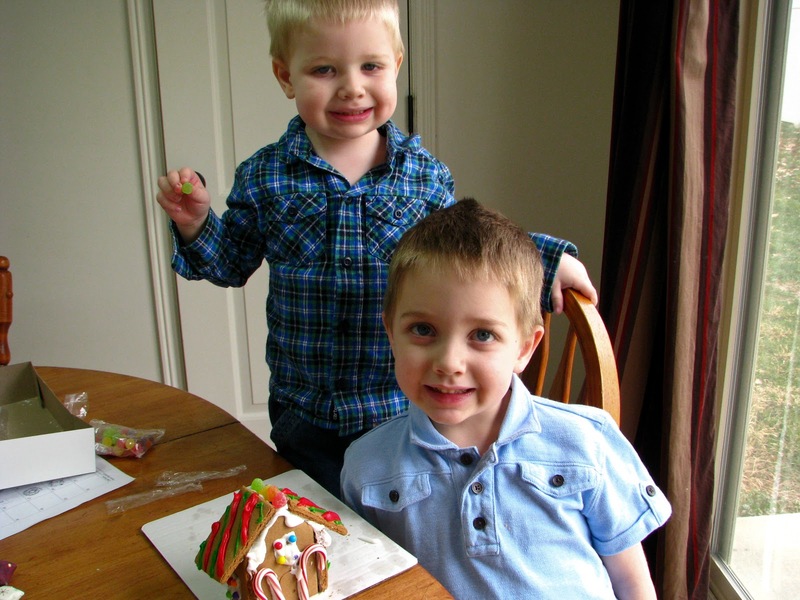 On Tuesday Tanner, Porter and I did gingerbread activities and they decorated gingerbread houses. Vance finished up the little village we had on Wednesday. He was creative with his decorating. Watching him reminded me of how grown up he is getting. I was just going to do graham cracker gingerbread houses, but I found this village for a good price and I figured that would be cheaper than buying all the candy separately. 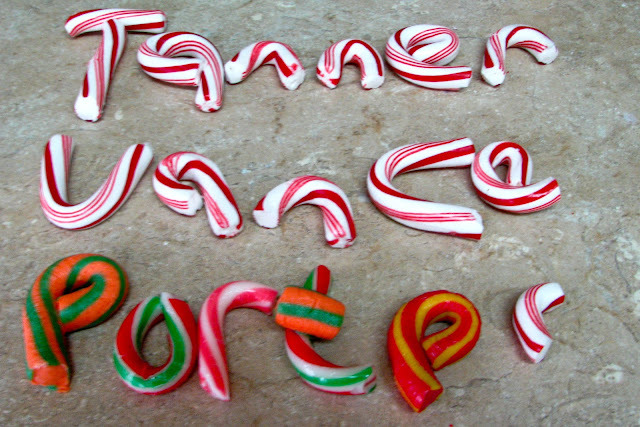 On Thursday we did preschool activities based around candy canes. I found this fun idea last year where you stick candy canes in the oven and then you are able to bend them. I worked spelling out the boy's names and Tanner had fun just playing with them. 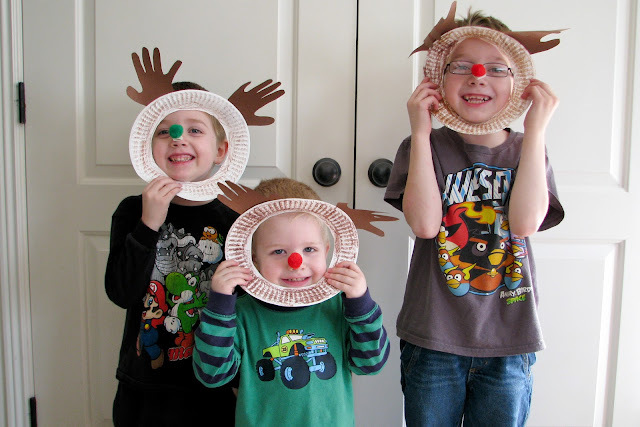 On Friday we did reindeer activities and since Vance gets out early on Fridays he was home to do a little reindeer craft. Don't I have cute reindeer? 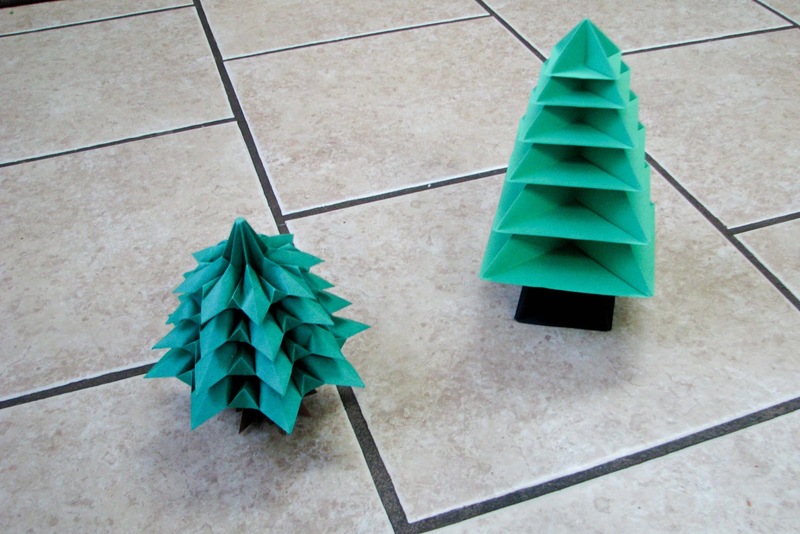 Here are two different kinds of origami trees we have around the house. They add some extra fun to our Christmas decorations. On Saturday we were at the Sears that is near my in-laws and it is closing so they have everything in their store discounted. We got shoes for all the boys since they all needed some sort of shoe. 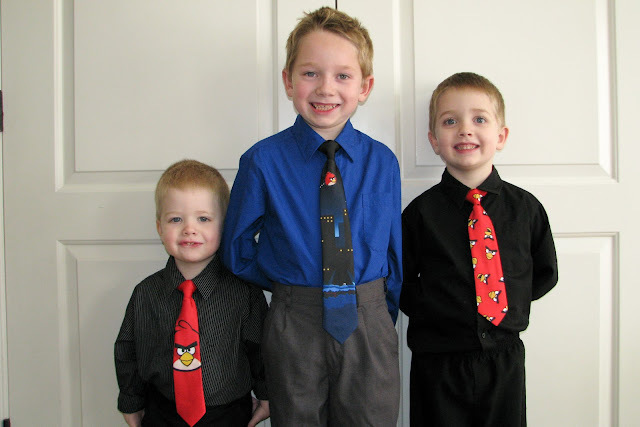 Then I saw the angry bird ties and couldn't pass them up so they wore them to church on Sunday. 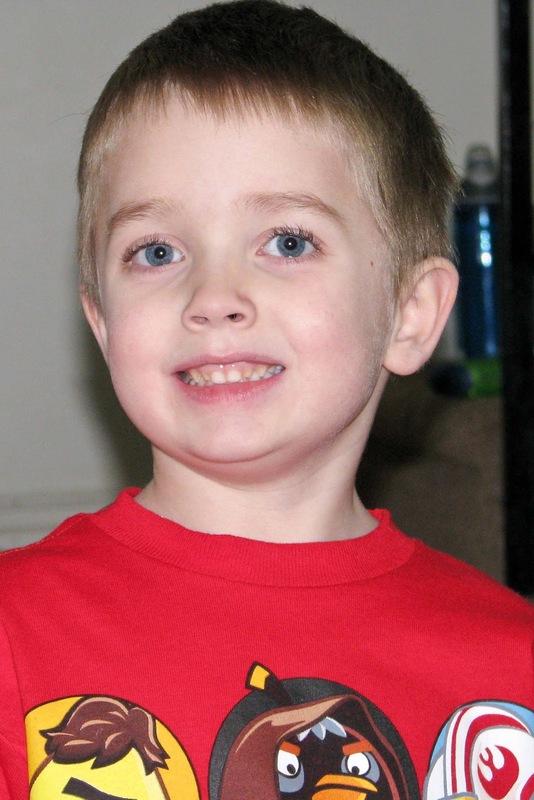 And here is a picture of my Tanner boy.